Notes： This product is empty in the middle. 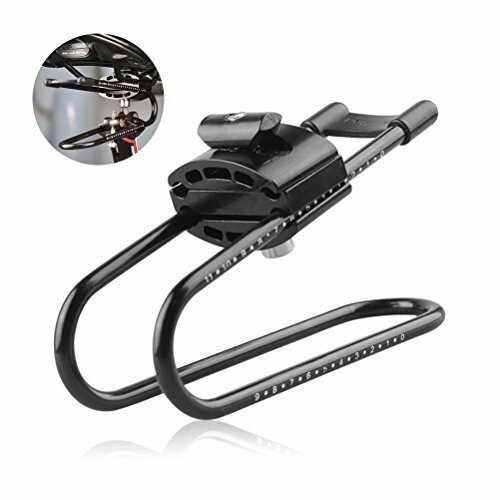 When it is adjusted to the higher,It will feel a little shaking, but it is normal, our bicycle shock absorber all have of the factory quality safety test, so don't worry. If you have any question or need our help about our Bicycle Shock Absorber, Please contact us. HIGH QUALITY: Made of imported special alloy spring steel material with fine toughness and wearable, it is not easily deformed. PROTECTION: The protective pad is made of silicone material with good adsorption and high stability, prolonging their service life. FUNCTION: Installed between the seat cushion and the saddle tube, it has a shock absorption effect and the effect is obvious. ADJUSTABLE: Floating device printed on the scale can be adjusted to make riding more convenient and comfortable. APPLICATION: Apply for Mountain Bike, Road Bike, Fixed Gear Bike and so on. If you have any questions about this product by Vankcp, contact us by completing and submitting the form below. If you are looking for a specif part number, please include it with your message.